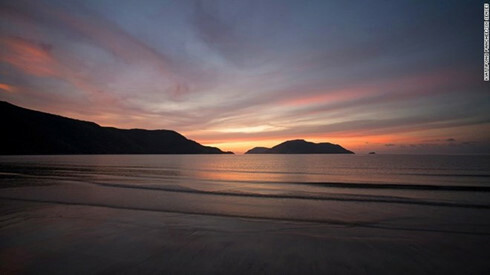 The 16-island archipelago is reachable by flight from Ho Chi Minh City or ferry from Vung Tau, CNN said, praising the island for its untouched coral reefs, beautiful granite cliffs, palm-shaded beaches, rainforest trails and chic beach resorts. The Revolutionary Museum and old prisons on the island are attractive to history buffs. Visiting ancient hilltop lighthouses and the spectacular Dam Tre Bay Lagoon, scuba diving and seeing rare hawksbill sea turtles in Bay Canh island are also great experiences. Between May and October, visitors can watch sea turtles lay eggs while the infants hatch and scramble into the sea. Con Dao island is also an ideal destination for seafood aficionados. Fresh and diverse seafood is served in five-star restaurants or visitors can buy raw materials and enjoy meals at the seaside. Other paradise escapes in CNN’s list are Koh Phayam (Thailand), Raja Ampat (Indonesia), Ulleung-Do (the Republic of Korea), Palawan (the Philippines), Tokunoshima (Japan), Lampi (Myanmar), Hokkaido (Japan) and Pangkor (Malaysia). Earlier, Con Dao island was listed in Asia’s top ten spots by Lonely Planet, the largest travel guide book publisher in the world. Travel Leisure magazine also named this destination as one of the best secret islands on earth.